So here we are again, the dry winter season where skin begins to crack and peel. Oh JOY! I got the FRESH Rose Mask with a discount at Sephora, Thailand (Thanks Zen!) and have been using this most mornings when I roll out of bed and don't have time for a 20-30 minute paper mask. This one only requires 5-10 minutes of your morning, and I love how it's a gel consistency so it absorbs into the skin super duper fast. This limited edition packaging though! Designed by Jo Ratcliffe, the rose graphics on the luxurious glass jar just makes you want to reach for it even more. I love how it's a sturdy packaging, which probably explains the hefty price tag, yet it keeps the product fresh by minimizing exposure to sunlight. There's even pure rose petals in there, and the gel-like consistency feels lovely on the skin. 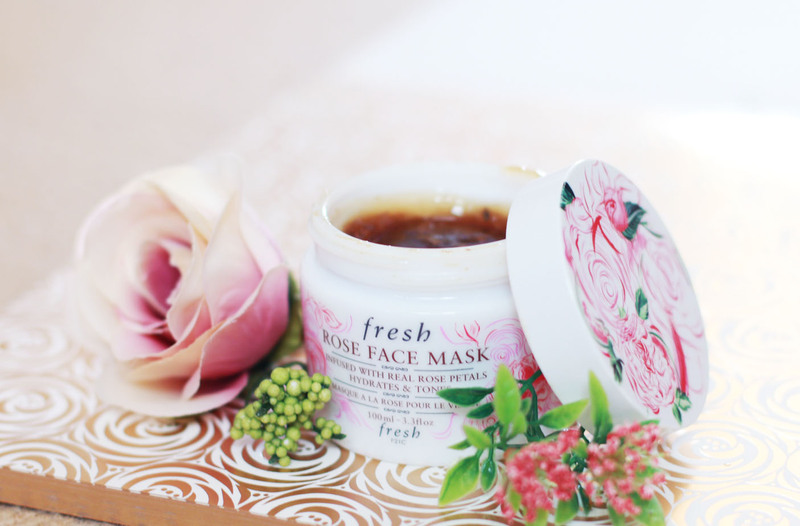 FRESH says: "The Rose Face Mask hydrates and tones the complexion to restore radiance and suppleness to all skin types." BETHNI says: I have to say that this absorbs real fast into the skin. At the 5 minute mark, I can feel and see it absorbed, leaving a fine layer of film on the skin instead of the watery gel that was there when I first applied it. After rinsing it off I felt my skin (don't we all?). It definitely felt supple, and even feels like my skin drank up all the moisture and you can actually feel the elasticity in the skin. In terms of toning, I don't see a major difference after one use, but the skin does have a slight radiance. However the biggest difference was that the serum and face cream I applied after rinsing the mask off absorbed like a dream. The Rose Face Mask also contains cucumber extract and aloe vera jelly to help soothe the skin, which is great for those whose skin gets sensitive from dryness. I imagine it would be a great mask for oily skin types too, with its lightweight consistency and rapid absorbing power - it doesn't feel sticky after rinsing. Skin simply feels refreshed, hydrated, supple and soft. I now use this pretty much every morning, even on lazy days. 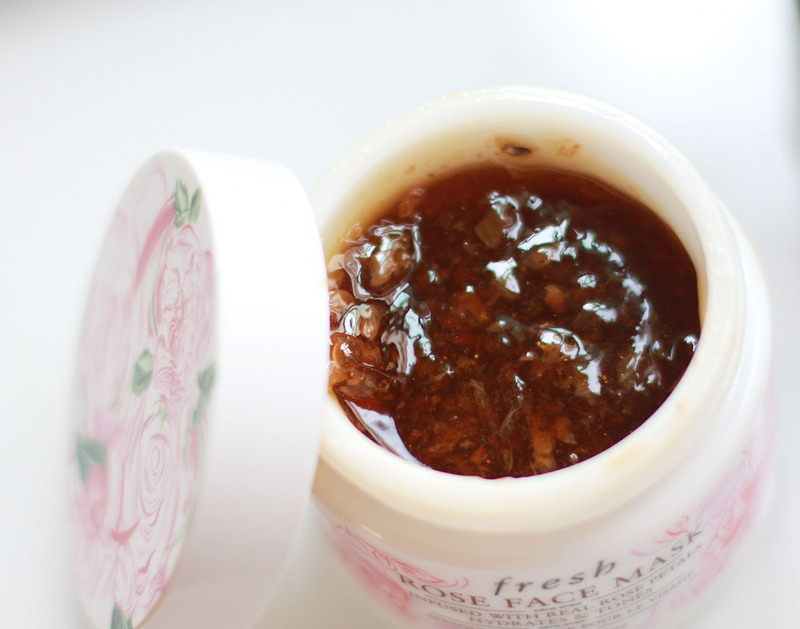 I love how the smell isn't super florally or artificial, it is perfect for a quick morning pamper. However it doesn't tick all the boxes for me for an evening mask in the winter, just because it's a bit too light and my dry skin craves more of nourishment in the evening. Probably would be a great one for the Summer though and hope this jar lasts me till then! If you ask me if this is worth the hype and price, I would say... I love it, but I wouldn't pay full price for it. Probably best to get it if it ever goes on sale; with a gift set/as a gift or with a discount code. As much as I love it, it is a bit too pricey for a 100ml, especially when I can't stop using this stuff and feel like I will run out really fast. Don't forget to comment and let me know what you think if you've tried it, or whether you will be trying this out!